This is a rabbit so desperately trying its best to go undercover that it actually does look like a real box for miscellaneous treasures. 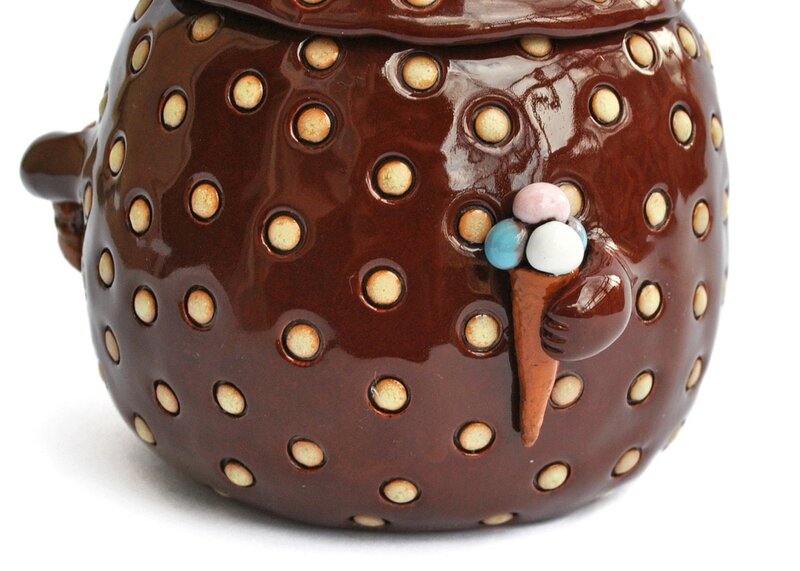 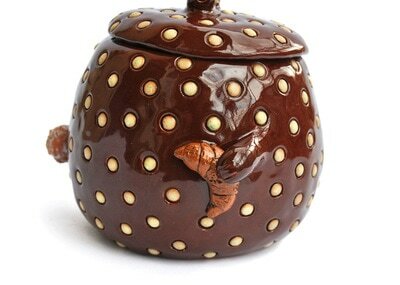 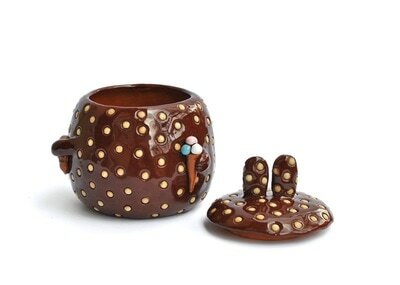 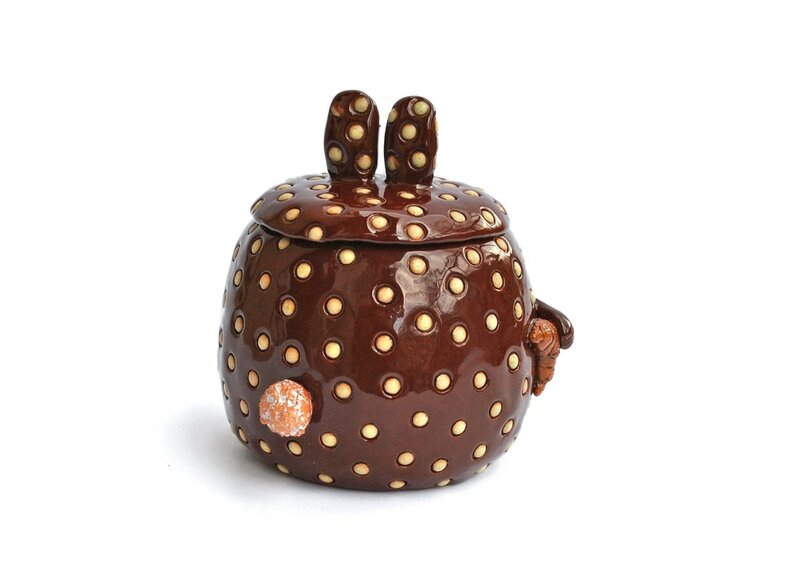 The only tell-tale are the ears and the round tail sticking out of this otherwise round shimmering box in cream-chocolate polka dot pattern. A sweet-tooth bunny is holding an ice-cream in one hand, and hiding a croissant in another. 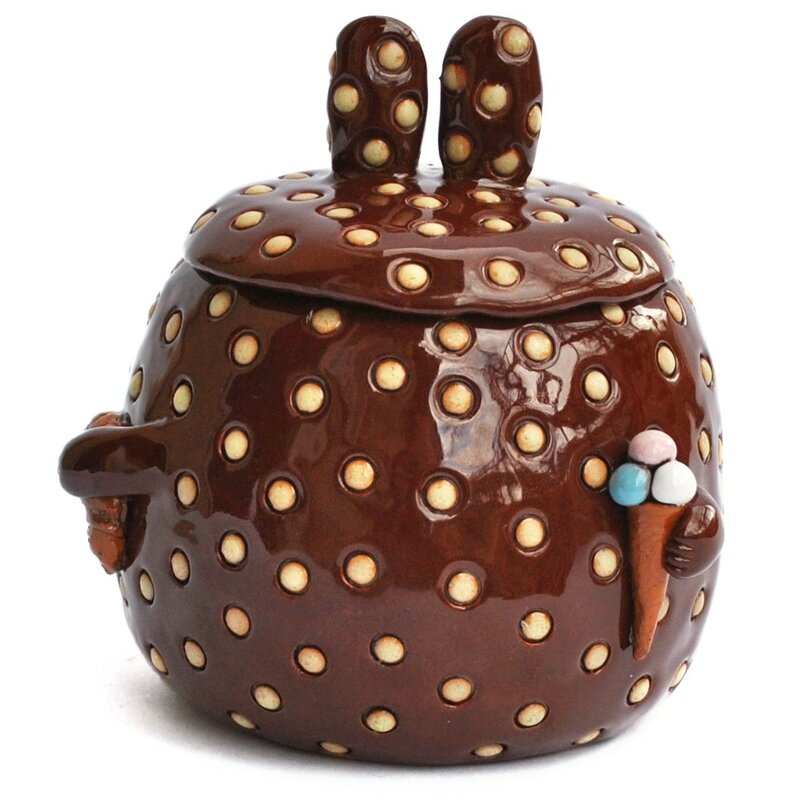 The bunny can be used as a jewelry box, sugar bowl or holder for small treats, and is approximately 11 cm (4.3 inches) tall.